The 106th Street and Springmill Road roundabout project was used as a major source of data for a new research study at Purdue University. 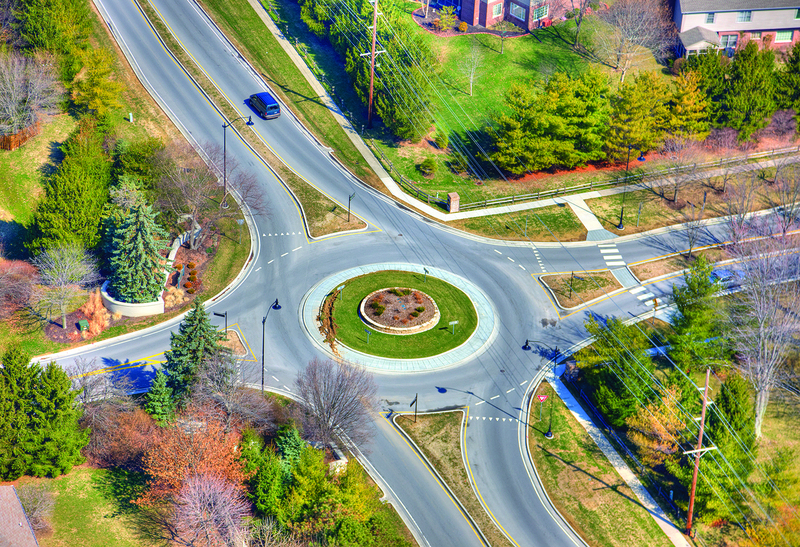 Best Practices for Roundabouts on State Highways (SPR-3530) has been published in the Joint Transportation Research Program (JTRP) series, with the help of American Structurepoint resources. This report presents a series of research findings from an investigation into roundabout operations. It offers a comparison of several analysis tools for estimating roundabout performance. It also offers a review of roundabout lighting practices, as well as a review of considerations for roundabout site selection. Several American Structurepoint employees assisted with the research for this project, including Craig Parks, who served on the research SAC committee. The JTRP series is incorporated in the Purdue Library Digital Commons collections, and usage statistics are tracked via Google Analytics. Click here to read the report. This entry was posted in Uncategorized and tagged Craig Parks, Purdue University, Roundabout, Willis R. Conner. Bookmark the permalink.